Compare the injured side with the uninjured side. 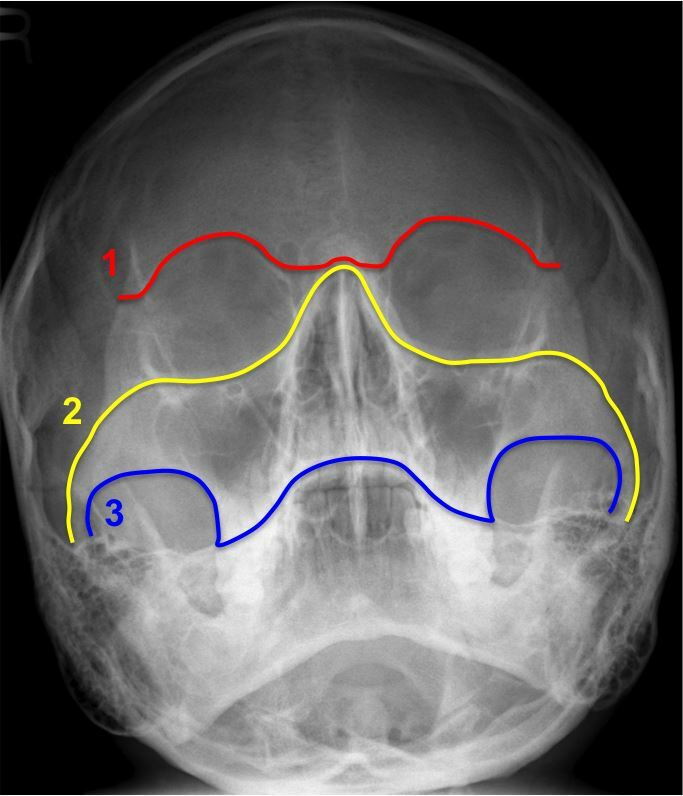 The zygomatic bone has three distinct limbs; the orbital process leading to the zygomatico-frontal suture, the zygomatic arch and the maxillary process surrounding the superior and lateral margins of the maxillary antra. 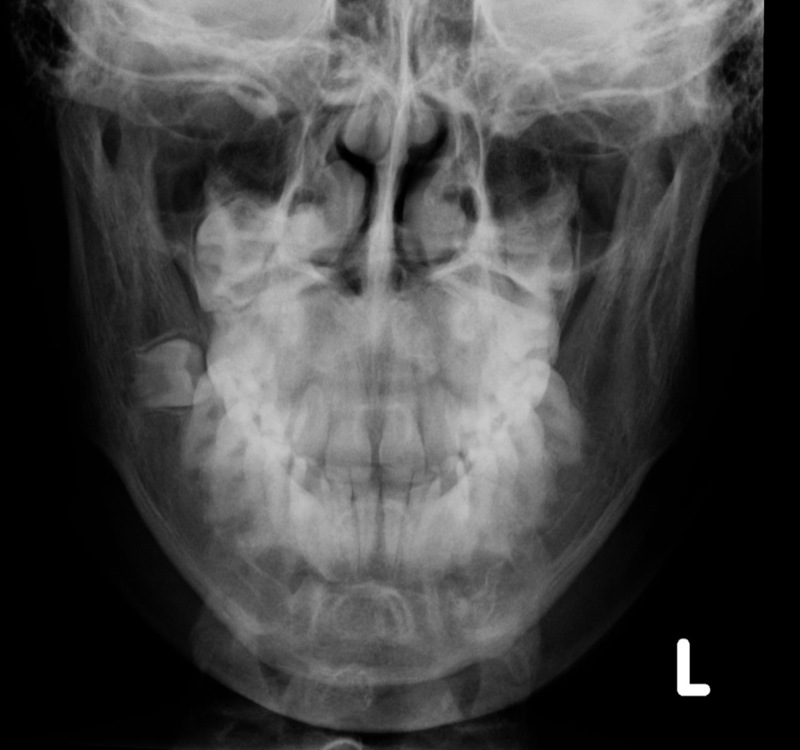 Trauma to the facial skeleton tends to spare areas of relative strength, and the body of the zygoma is one such area. It therefore follows that fractures are likely to be sustained at these three limbs and such an injury is termed the tripod fracture. Widening of the zygomatico-frontal suture. 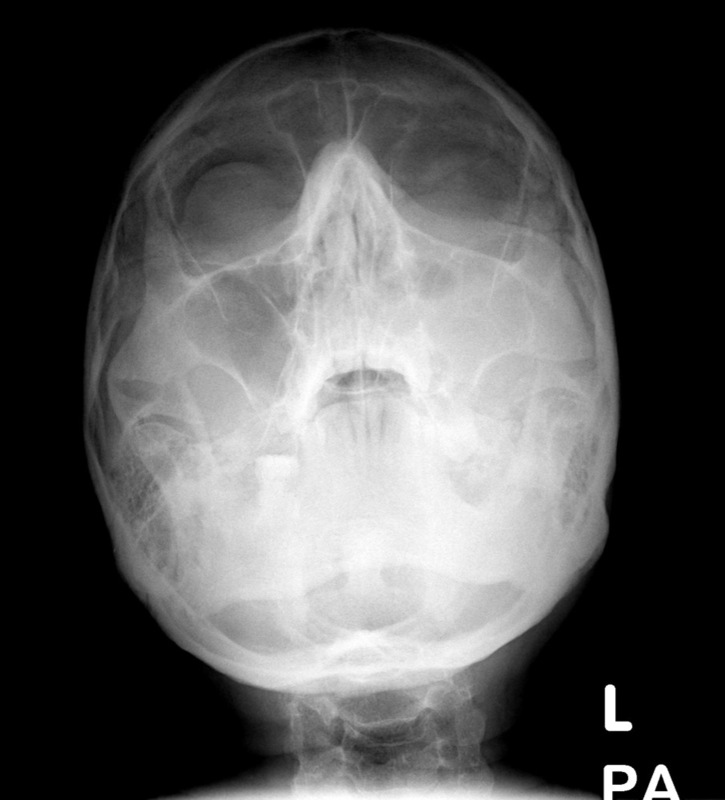 Fracture of the zygomatic arch. 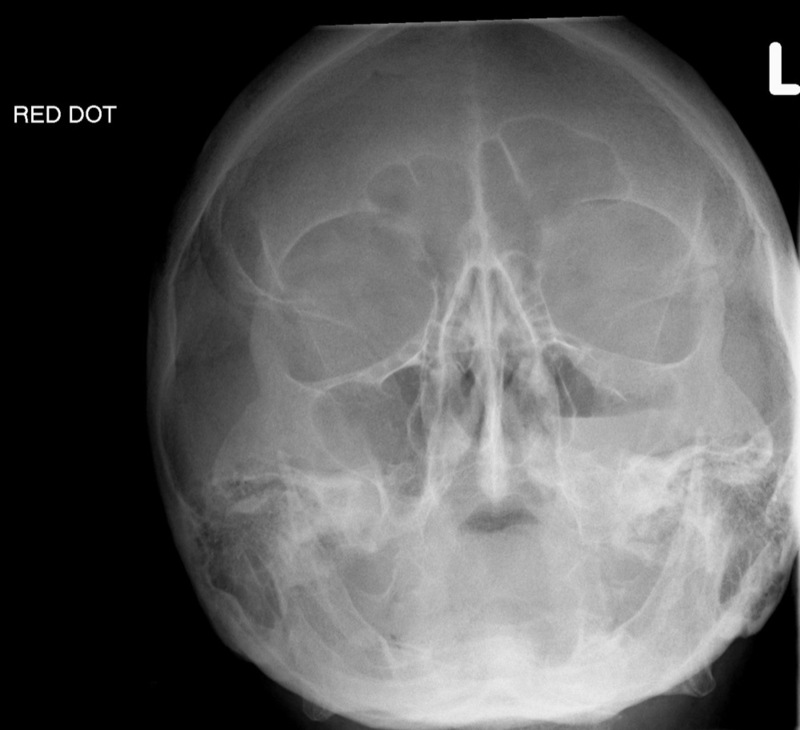 Fracture of the inferior orbital rim extending through the anterior and lateral walls of the maxillary antrum. 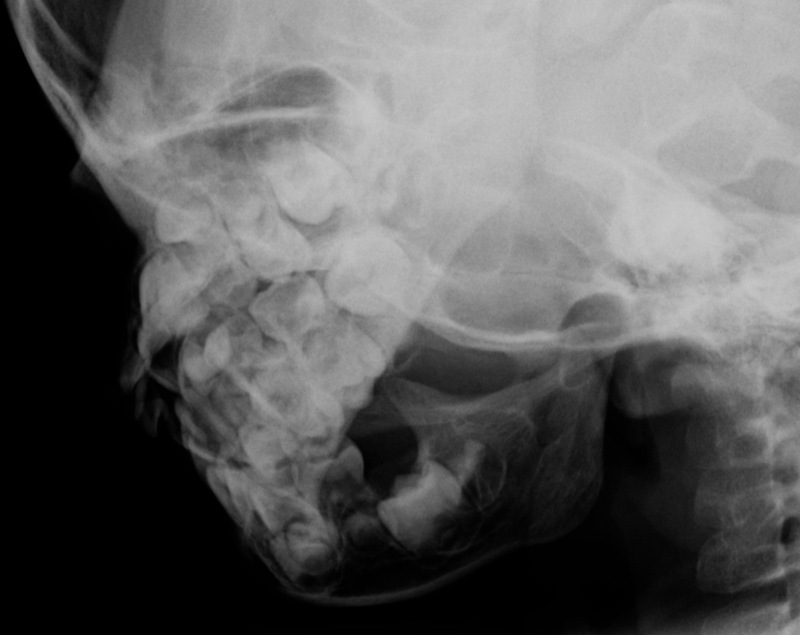 Both the OM and OM 30 views will identify these fractures, along with the associated soft tissue swelling over the zygomatic eminence and opacification or an air-fluid level in the maxillary sinus. Often only a straight PA would identify the diastasis at the zygomatico-frontal suture. These generally consist of three fracture lines with medial and inferior displacement of the fragments. 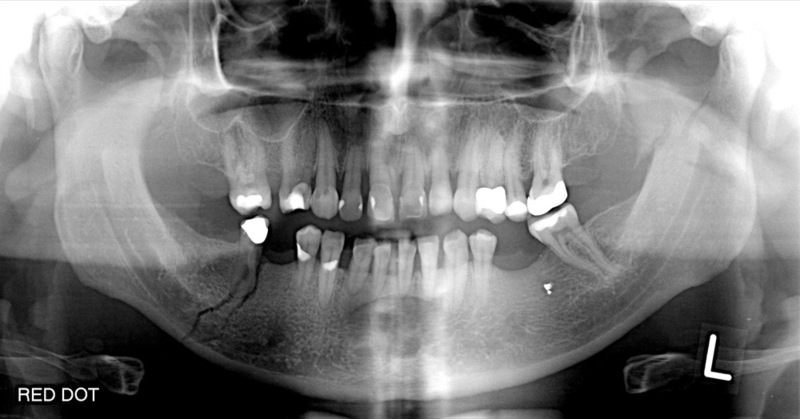 More often than not, however, an apparently isolated fracture of the zygomatic arch is actually part of a more complex tripod fracture. 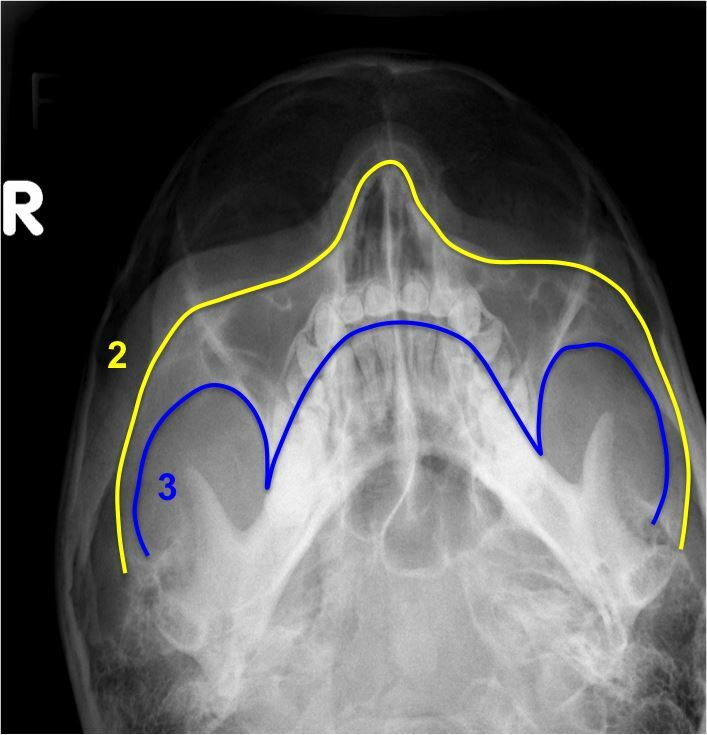 The classification of maxilla fractures again follows the concept of areas of relative strength within the facial skeleton. 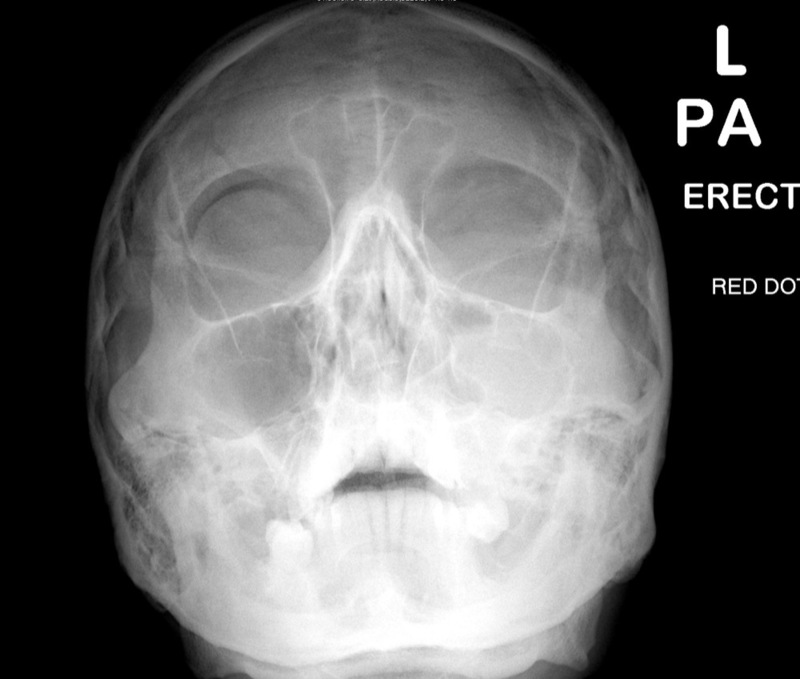 There are three principal fracture lines which correspond to relative areas of weakness, and these are referred to as Le Fort fractures. 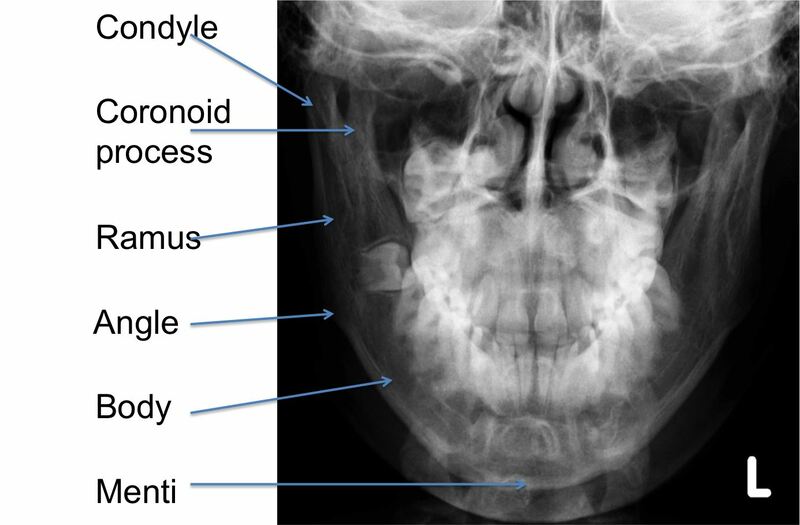 By definition, these fractures must transect the pterygoid process of the sphenoid bone. 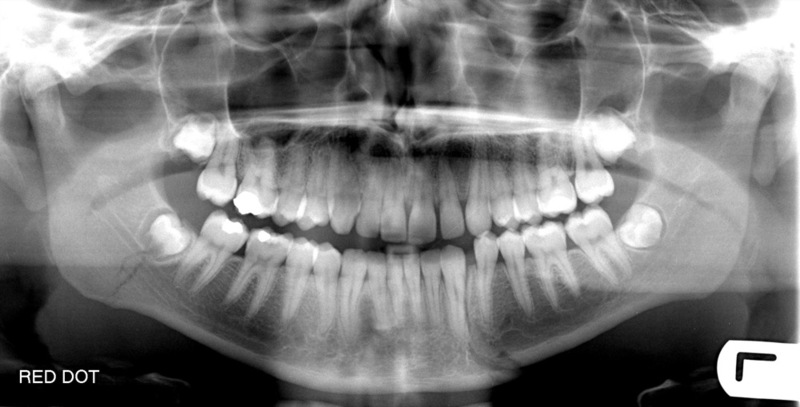 This is a transverse fracture through the inferior maxillary antra, which separates off the alveolar process of the maxilla. 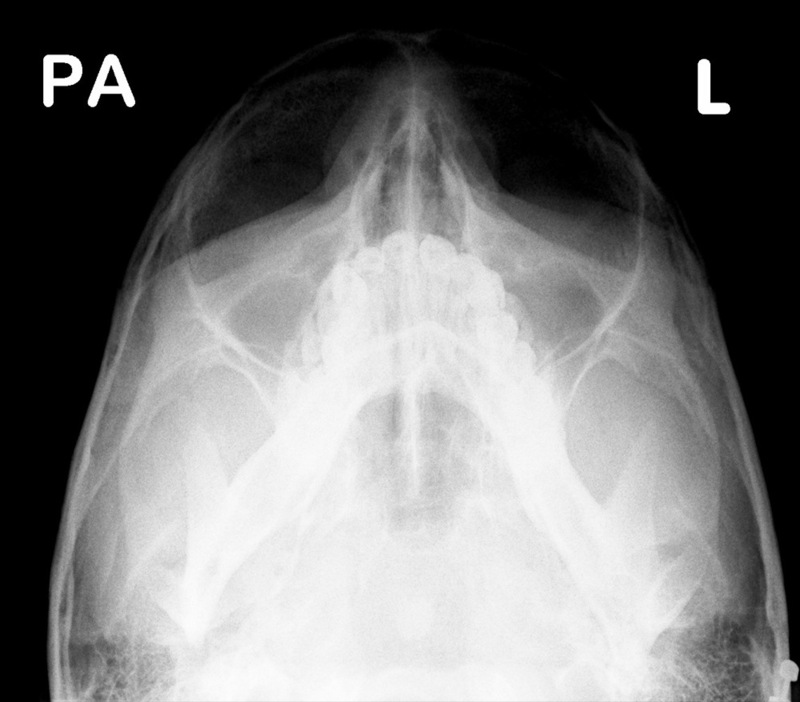 The Le Fort I is demonstrated on the OM view with fractures through the medial and lateral walls of the maxillary antra, and the nasal septum. This is a pyramidal fracture, which separates off the central portion of the face. 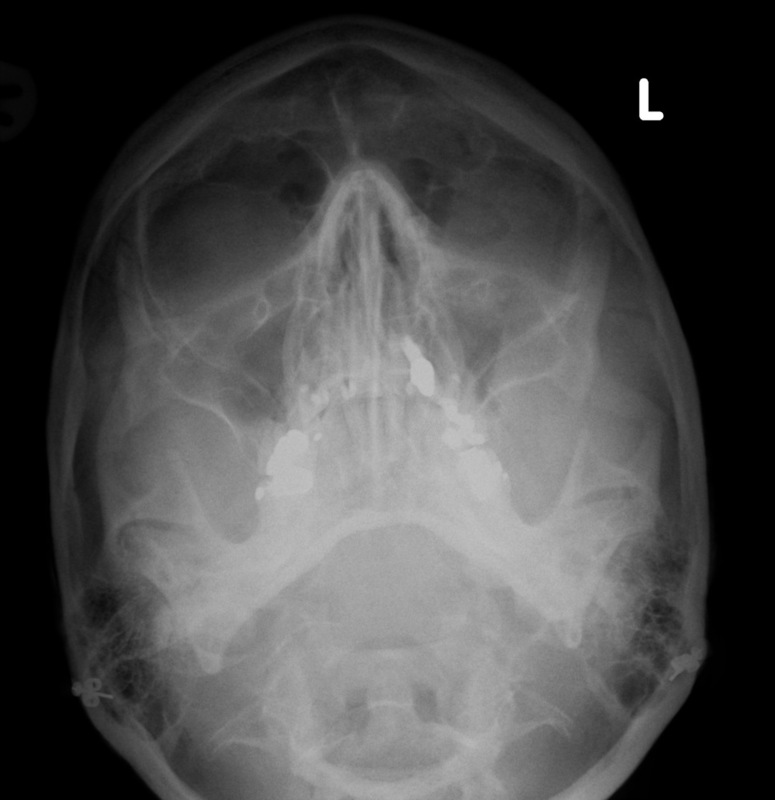 The OM radiograph identifies the Le Fort II with fractures through the lacrimal bones, medial orbital walls, infra-orbital rim and lateral walls of the maxillary antra. 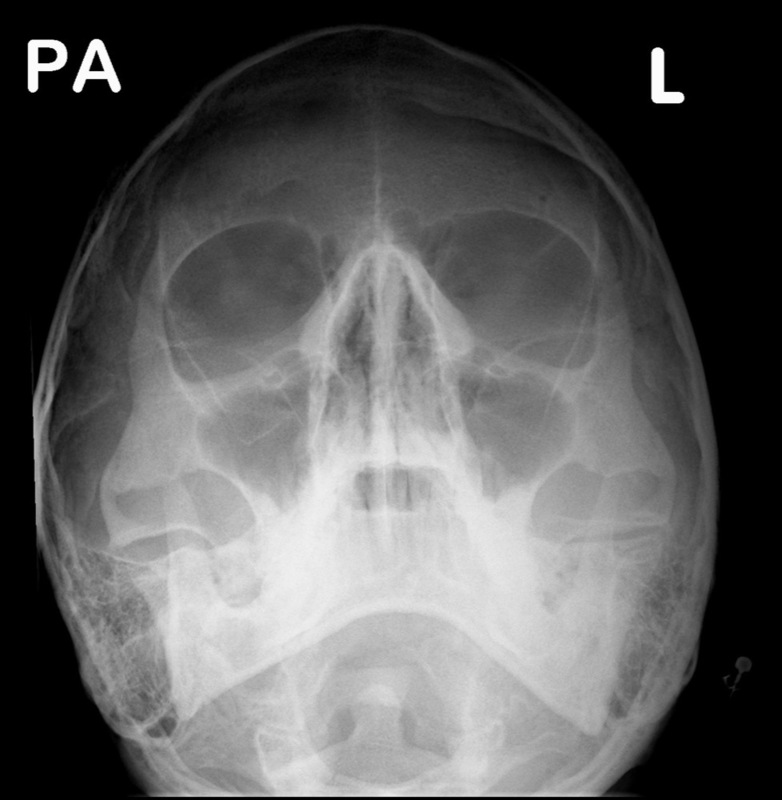 This fracture is characterised by separation of the entire facial skeleton from the skull. 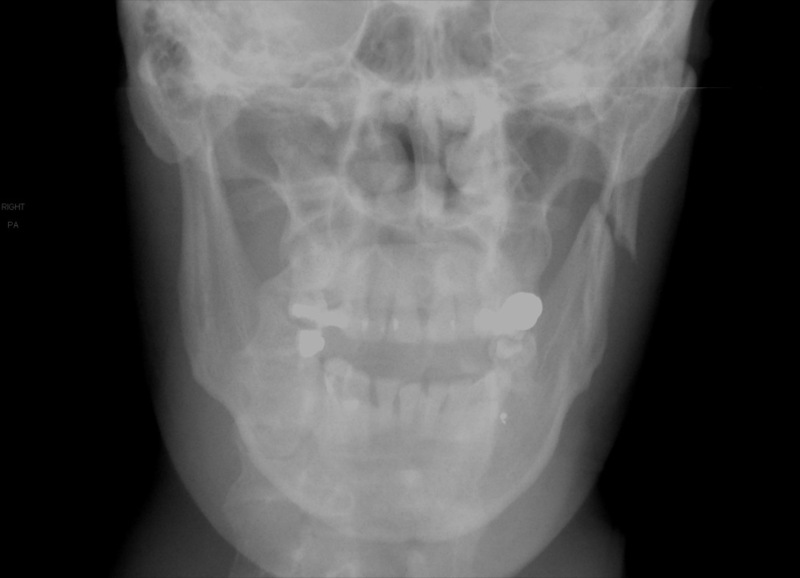 The posterior aspect of the fracture extends down the posterior maxillary sinus walls. 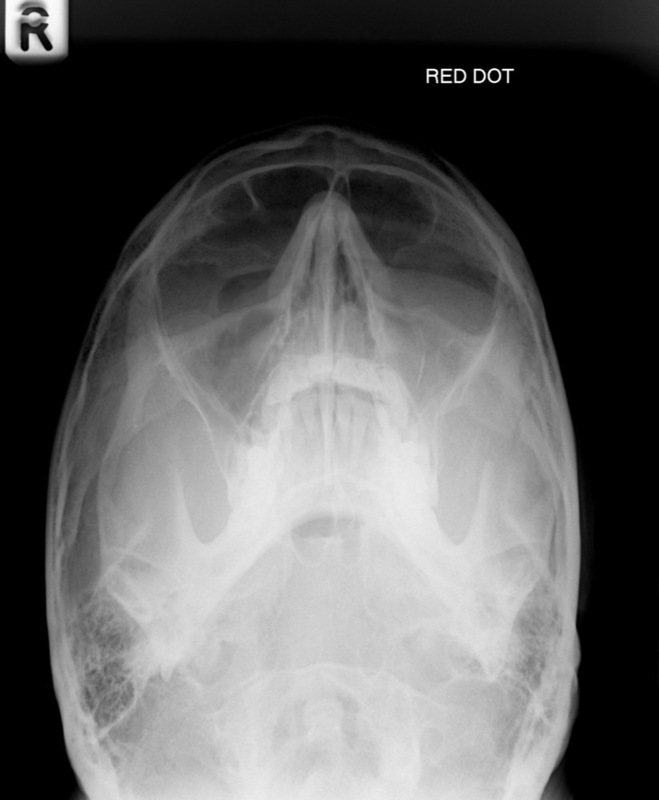 Fracture lines will be visible on the OM view extending from the medial orbits and nasoethmoid region across the ethmoids posteriorly. The orbits appear elongated with wide diastasis of the zygomatico-frontal sutures, or fractures of the orbital process of the zygoma. In practice, this classification is over-simplified, and in reality, fractures tend to be more complex. There may be a combination of appearances, such as a Le Fort II on one side, and a Le Fort III on the other. 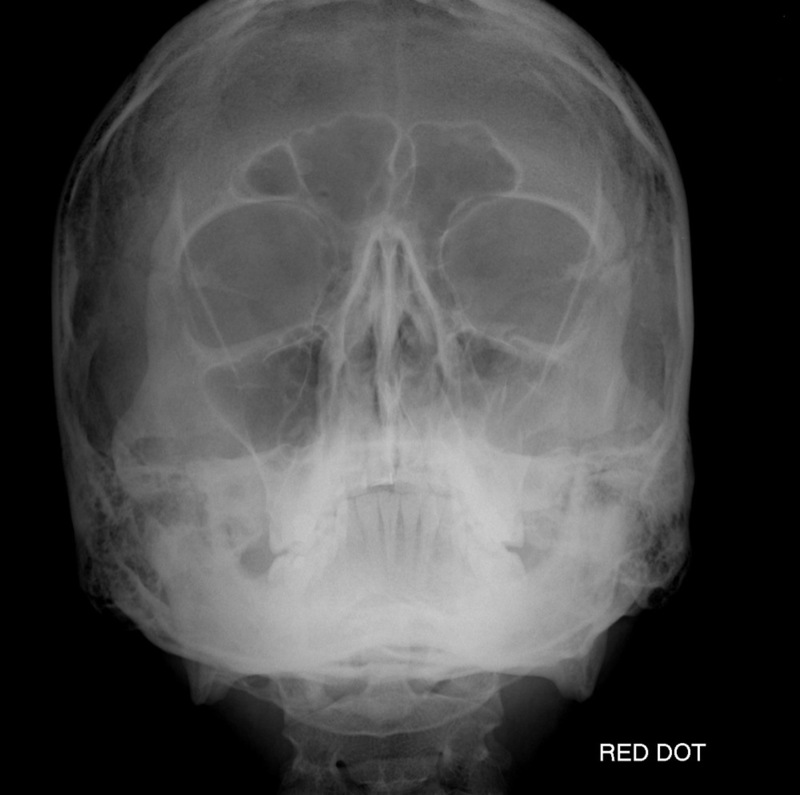 Also, as these injuries are associated with major trauma, these patients tend to go direct to CT and plain radiograph examples of classic Le Fort fractures are infrequent. 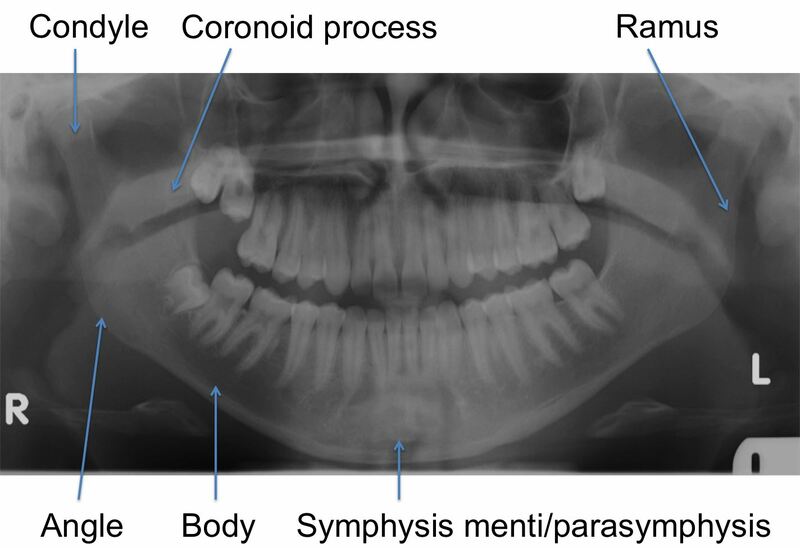 This is an excellent method of demonstrating virtually all mandibular fractures, including the coronoid and condylar processes. Be aware however; occasionally symphysis menti fractures may not be seen. Fractures of the mandible tend to occur in more than one place, therefore once one has been identified, another should be sought. The second injury may be a fracture, or a temporomandibular joint dislocation. Air in the pharynx may also be identified on the OPG overlying the condyle and ramus. This should not be mistaken for a fracture. Fractures are classified as either favourable or unfavourable. A favourable fracture is one that is held in apposition and alignment to the natural pull of the attached muscles. Unfavourable fractures are those that are displaced by the pull of attached muscles. 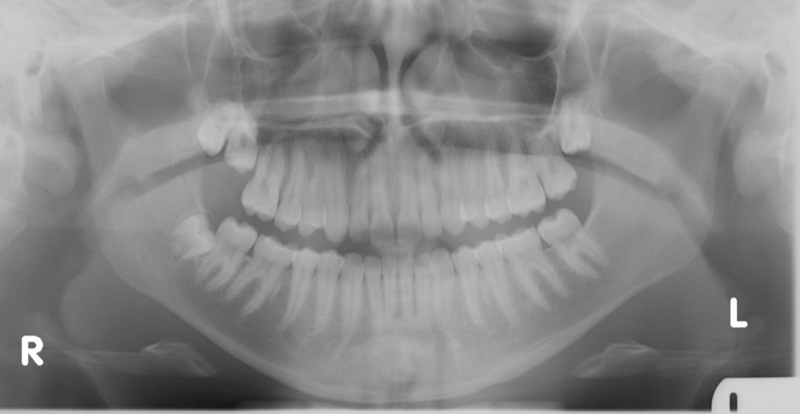 After diagnosing a fracture, it is important to identify any pathological dental condition in which the fracture lies. This is best demonstrated on the OPG. 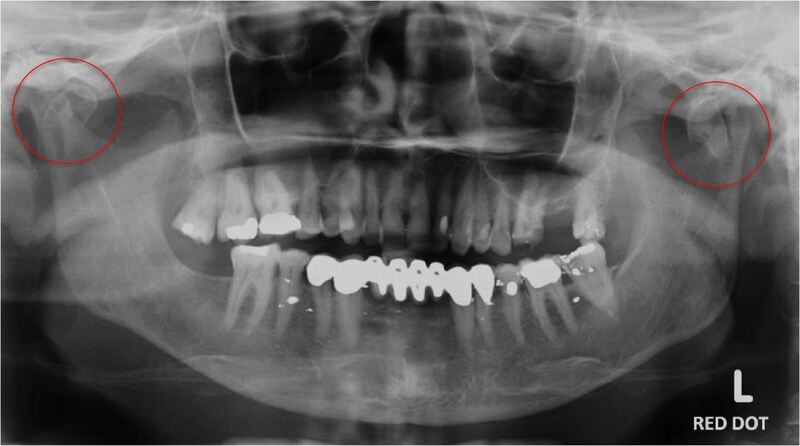 A fracture that extends into a periapical abscess may result in delayed healing and osteomyelitis.